From the most basic to the more complex laboratory applications, the Lx400 stands strong as a truly modular system. With an Infinity corrected Plan Achromatic optical system, users will enjoy crisp images with excellent color fidelity and high accuracy in image rendition for a wide spectrum of specimens. Each configured below includes 4x, 10x, 40x, 100x objectives and LED rechargeable illumination. There are a wide variety of accessories available. Comes with a manufactures five year warranty and FREE one year extended warranty for a total of six years. 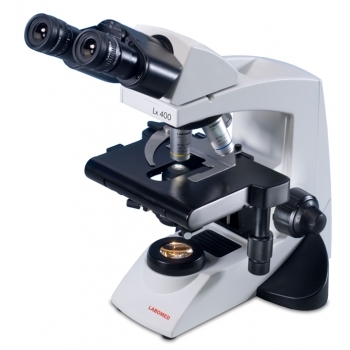 Click the button below to add the Labomed Lx400 Cordless LED Microscope Series to your wish list.